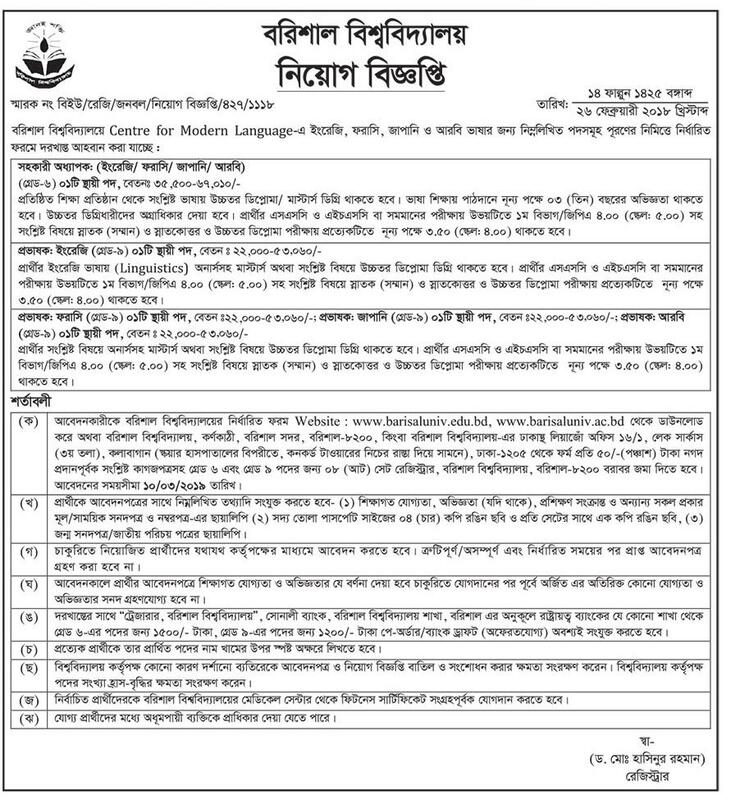 Barisal university job circular 2019 has been published by the authority. It’s a great job circular and it’s a huge chance to unemployed people. By join this job,anyone can build a bright career. Those,who want to work,they should be taken out of this opportunity. Barisal University is one of the Bangladeshi University. Barisal university is one of the most important part of Bangladesh education sector. If you want to apply for this job,you should submit your application within 10 March 2019. Barisal university is one of the most popular university of Bangladesh. All over, Barisal university want to recruit,who young,energetic, honest & Educated. To get Barisal university job circular 2019 related information, you can visit my website that is jobs.lekhaporabd.com. Barisal university job circular has been converted to an image file,so that everyone can easily to read and download the job circular. Barisal university job circular has been given bellow.